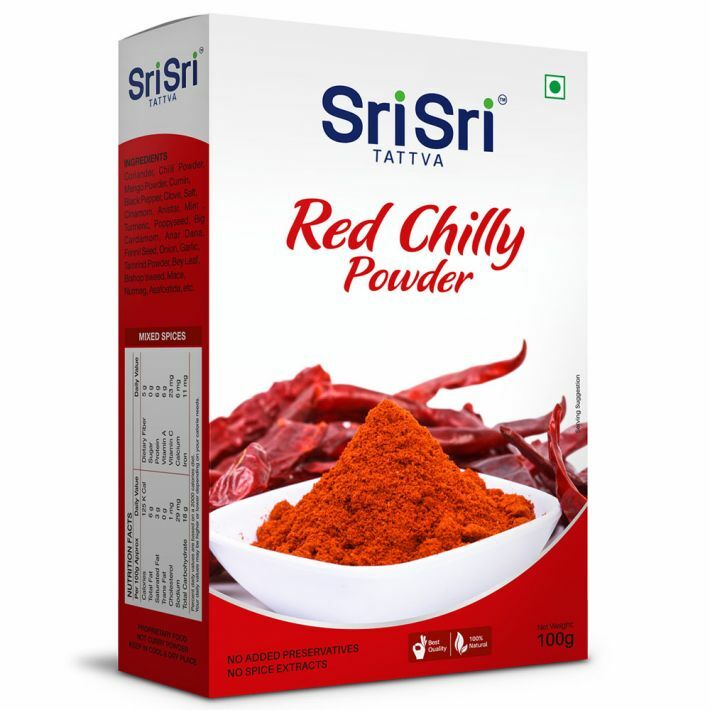 Sri Sri Tattva Red Chilli Powder assures you of the finest quality chilli powder. And can be used in many dishes. It is easily identifiable by its dazzling red colour. And its enjoyable pungent flavour is one of the most widely used of Indian spices and thus adds an extra zing to your meal.